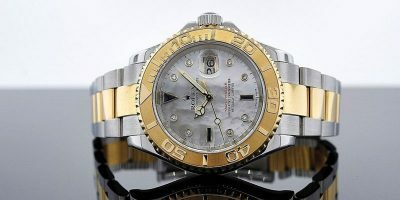 With approximately 600 5-Star online reviews, RK & Co. Jewelers is one of the most respected independent jewelry stores in the Milton and Alpharetta area that specializes in repair and servicing of Rolex and other premium brand watches. Our watch repair services range from a simple battery replacement to a complete movement overhaul of your timepiece. In servicing any watch, our goal is to ensure that every timepiece leaving our store complies with the watch manufacturer’s specifications. Time-keeping accuracy and water-resistance are rigorously tested to guarantee the highest level of quality and reliability. To ensure your complete satisfaction, we also provide a one-year mechanical warranty any time we service a watch. We understand the complicated nature of watches, so if you have any questions please don’t hesitate to contact us. Leave your treasured timepiece with the trusted experts of RK & Co. Jewelers. All of our watch repairs and service are backed by our one-year warranty. Heirloom quality watches may not operate at their peak function and can stop working entirely without regular care and service. Although you’ll find all kinds of quick-fix watch shops and even online instructions for how to repair watches yourself, we don’t recommend trusting your fine timepiece to anyone but a professional. Rely on the trusted experts at RK & Co. Jewelers to take care of your treasured timepieces with the impeccable standards one would expect from a company renowned for excellence. We’re a full-service jewelry store that specializes in repairing, trading, and selling gold jewelry, diamonds, and watches. Mechanical watches, in particular, require service approximately every five years because they – like the engines in luxury automobiles that don’t get regular oil changes – will dry out, which will affect the performance of the watch and cause parts to wear. Like a car, a watch may run for a long time without service but, eventually, the lack of preventive maintenance will result in reduced function and more costly repairs. Properly maintained fine watches have the potential to keep accurate time for centuries, and we are dedicated to helping you get the most out of your timepiece. As always, our watch overhaul is backed by a one-year mechanical warranty. Looking for a Rolex? RK and Co. Jewelers has plenty. Visit us to browse our selection of high-end watches and find the perfect match for you. We can even help you with the price if you have a few pieces of unwanted jewelry that you’re willing to trade in for an unforgettable timepiece.